Here you go weirdo fringe steel people who like to keep their squish up front where they can see it. Brand new for 2011, the Steely is purposed specifically for that wild breed of rider who loves the compliancy and burliness of steel buttered up with a five-inch travel fork. 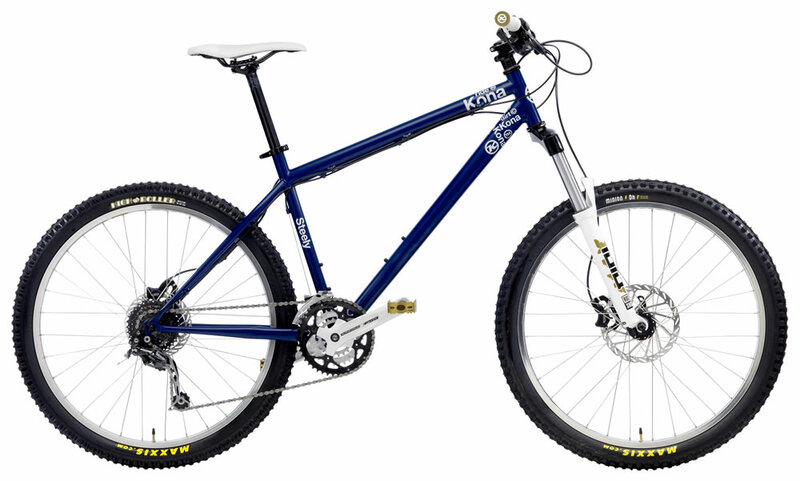 We designed this bike to conquer technically demanding trails, either deep in the forest, or way up in the alpine. This is old school mixed with new school. A 67 degree head tube angle, 180mm front brake rotor, Avid Juicy 3 hydraulic disc brakes, ISCG tabs, an adjustable 85-130 U-Turn fork. Sizes 14", 16", 18", 20"